Left to right: Srila Bhakti Kusum Ashram Maharaj; Srila Bhakti Pavan Janardan Maharaj; Srila Bhakti Vijay Trivikram Maharaj; Srila Bhakti Nirmal Acharya Maharaj, the appointed Successor Acharya of the Math; and Srila Bhakti Bimal Avadhut Maharaj. Srila Bhakti Sundar Govinda Maharaj in March 2010 appointed five sannyasis to the Acharya Board. At the Acharya Board meeting of Sri Gaura Purnima 2013 all happily agreed to induct Srila Trivikram Maharaj to the Board. In December 2013 Srila Bhakti Sudhir Goswami Maharaj resigned from the board and will now focus on publishing. 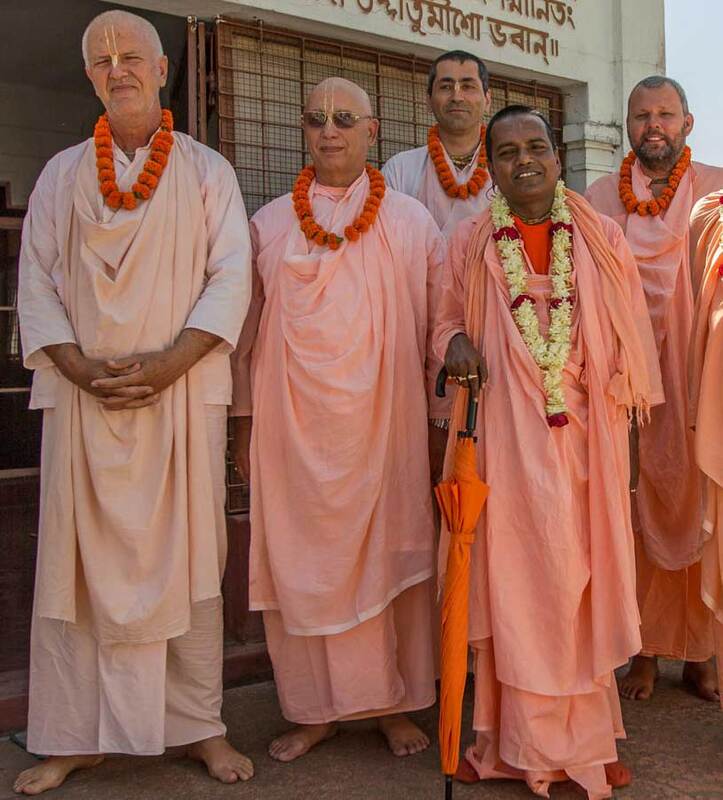 During Srila Govinda Maharaj's last weeks His Divine Grace repeatedly told to the Western sannyasis of the Board to "Look after my Western devotees."